To the uninitiated, it does sound like a rather luxurious surface maintenance technique. But to those in the know, diamond grinding is one of the toughest, most efficient and most effective methods of enhancing a dull or damaged concrete surface. The track record that diamond tools have is impressive. It is not only that the hardness of the stone in question is so great that cracked, stained or uneven pavements and concrete floors (indoors and outdoors) can be rehabilitated quickly and effectively, it is also a cost effective option. And provided the equipment used is up to scratch, the demands on labour is eased considerably. But such positives come at a price. The wear and tear on the diamond disks that do the actual grinding and polishing is typically extensive, so your diamond grinding tool needs to be properly maintained if its effectiveness – both in terms of job quality and cost – is to be consistent. Over the past four decades, we at MegaSaw have built up a considerable reputation for providing diamond grinding services of the highest quality. But we have also learned the importance of maintaining the equipment and tools needed to get the job done. So, we have put together some tips how best to keep your diamond grinder in tip-top condition. The bottom line is that the technology makes cleaning and evening a floor or pavement surface pretty easy. Diamond grinders use horizontally rotating discs encrusted with industrial diamonds to clean, level and smooth the concrete surface. A vacuum serves to lift away the minute debris, leaving behind a smoother, cleaner surface. Diamond grinding tools offer considerable advantages over alternative options when it comes to repairing and enhancing concrete surfaces. High efficiency, low force – The grinding process does create heat, but because there is a hole in the grinding process less heat is generated. This in turn lessens the chance of cracks developing on the workpiece surface, thus decreasing the machine’s energy consumption and the rate of wear and tear. So, the lower force results in a higher level of efficiency. Low wear rate – As already mentioned, diamonds are extremely hard wearing so it stands to reason that the wear rate on the diamond cups and disks is very low. The machine only grinds away a thin layer of the surface with great grinding precision, a fact which also helps to ensure the lowest possible wear rate. Long lifespan – Of course, if the lifespan of the diamond grinder you use is long, then the cost efficiency is going to be pretty good. Short-lived machinery have a great net cost. And the fact that the diamond workpiece lasts long makes the work efficiency rate high too. Low labour intensity – Using a grinder to improve or repair the state of a concrete floor or pavement removes practically all of the hard work. All you need to do is control the machine as it glides over the area grinding out the broken and uneven segments. It means the labour intensity is low, making the work experience easier. Every cleaning process takes its toll on the technology used to accomplish it. When it comes to diamond grinding, there are a number of issues that can develop over time and use which require maintenance. More often than not, these are related to the surface the grinder is used on, and not understanding how the different segment options and surface preparation techniques impact on the floor in question. 1. Know Your Surface – It would be nice if your diamond grinder could handle every type of surface with ease, but it does have its limitations. Despite the hardness that diamonds boast, a grinder is not suitable for aggressive profiling, so it should only be used to remove light, thin layers. Forget about removing patches of vinyl, or paint or some other floor coatings. 2. Prepare the surface – If the floor or pavement area to be worked on has some coatings over it (even small patches), those patches need to be removed. This may require some elbow grease but will save you time in the long run. It is also important to know that one run over is never enough, and a proper surface rehabilitation job can only be done over several steps, each graduating to the next to ensure a smooth finish to the floor. This relates specifically to the grit chosen, but preparing the surface properly (sweeping clear dust, dirt and debris, filling cracks and holes etc) is an essential starting point for what follows. 3. Choose the right diamond segment – The particular material or a floor or pavement is going to dictate your choice of diamond segment. Choose the wrong one, and the wear is higher, efficiency lower and maintenance cost greater. There are a number of elements that influence which diamond segment is appropriate. The bond is the metal that holds the diamonds in place, but also to wear away to ensure a layer of diamonds is always exposed. A hard bond is best when dealing with abrasive material like soft concrete or rain-damaged pavement. Medium bond tends to perform poorly with hard materials, but wears away more quickly on abrasive materials. Soft bonds are perfect for use on hard materials because it wears away quickly ensuring there is always a layer of hard diamond exposed to handle the surface. Grit is the diamond size in the metal, ranging from coarse (30-40) to medium (70-80) to fine (140-150). As mentioned above, an effective diamond grinding job starts with a well-prepared surface and the right grit. Using the wrong grit at the wrong stage can result not just in a poor quality job, but also in unnecessarily intensive wear and tear on the diamond grinder. Generally, you would start with a coarse grit (16-30) to remove the hard breaks and uneven areas. The grit size then doubles with each stage, gradually breaking down the surface irregularities until the surface is sufficiently smooth. Polishing the concrete requires a switch from a diamond metal cup to a resin pad and can involve as many as seven stages (50 grit to 3,000 grit), depending on the finish you want. The shape of the diamonds used can have an impact too. Arrow heads have sharp leading edges for slicing, so are effective for glue removal. Square segments have a long leading edge, so are ideal on uneven concrete. Round headed diamonds have a subtle leading edge so are perfect for working with finer grits. 4. Consider grinder weight – When diamond grinding, the weight of your machine can have a say on the wear and tear it experiences. Heavier units are more aggressive on the surface because the diamond cup or disk is slightly closer to the floor. You may want to look into adding ballast weights, especially when it comes to dealing with hard materials. 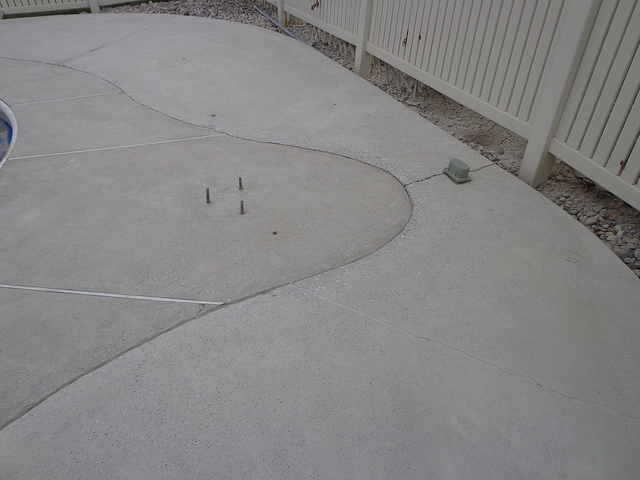 We are one of the leading names when it comes to concrete diamond grinding services in Melbourne, and Victoria State. Recognised specialists in the field, we have completed projects quickly and cost-efficiently for domestic, corporate, local authority and government clients. So, whether you need the concrete flooring in your garage professionally restored, or your supermarket, warehouse or section of street pavement smoothened, MegaSaw is a name you can trust. For more on our concrete diamond grinding services, and what we can do for you, call us on 1300 920 419. Alternatively, you can email us at [email protected] with your query. We’ll be happy to help you.